In anticipation of his upcoming Predictive Analytics World for Workforce conference presentation, The State of Predictive Analytics for Workforce in Enterprise Applications, we interviewed Holger Mueller, Principal Analyst & Vice President at Constellation Research, Inc. View the Q-and-A below to see how Holger has incorporated predictive analytics into the workforce of Constellation Research, Inc. Also, glimpse what’s in store for the new PAW Workforce conference. A: Enterprises use predictive analytics all over workforce decisions – recruiting, performance management, learning, compensation, career planning are the most prominent use cases. A: Hands down workforce planning. A: If you had the guarantee to win the lottery 1 out of 10 times – you would not ask how it works. You would play the lottery! If a predictive algorithm makes an HCM decision better – why ask and try to understand why it is better? Just use it. A: Making more objective decisions than humans, and saving precious time. A: Time pressure will make business professionals adopt predictive analytics in droves, with HR liking, supporting it – or not. 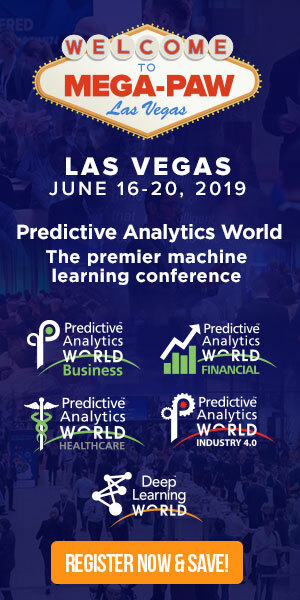 Don’t miss Holger’s conference presentation, The State of Predictive Analytics for Workforce in Enterprise Applications, at PAW Workforce, on Tuesday, April 5, 2016 from 1:30 to 2:15 pm. Click here to register for attendance.